The G20 is probably the nearest, and open every day except Sunday until 9pm. I believe that the G stands fror grimy. It's my least favourite: fairly big but cramped, not great produce, however it's cheap(ish). If you just need basics, this will probably do. 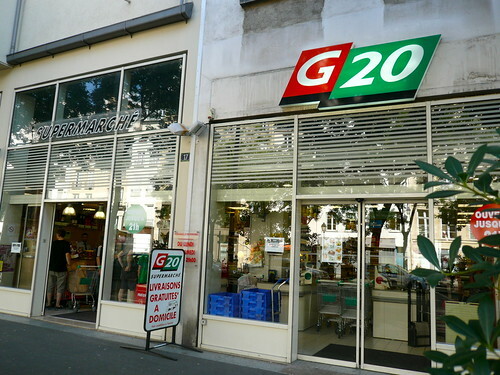 For years (ever since I've been visiting Paris, and that's quite a while), the G20 was a huge lighting shop. I think the guy finally retired a couple of years ago. 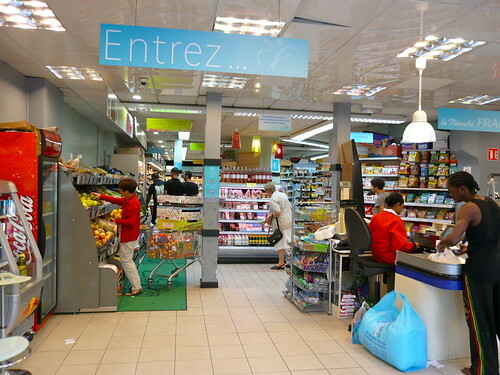 Next step up would be Franprix, open from 8.30am - 9pm and even Sundays from 9am - 8pm! It looks tiny from the outside (see top photo) but inside they've made it colourfully 'hip' and 'designer'. The presentation is much better and it's not too dear. 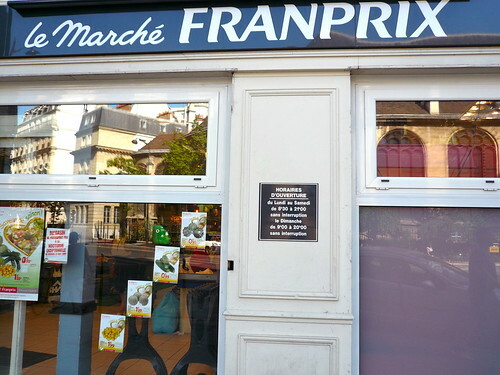 This Franprix used to be a Shopi supermarket. 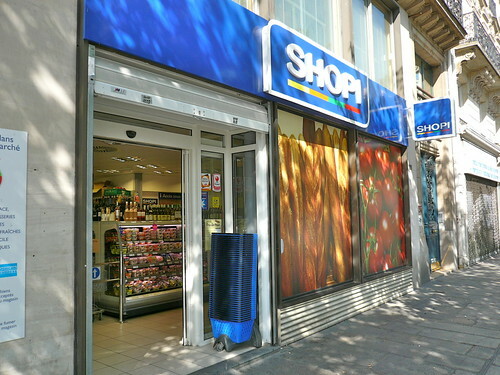 Shopi has now moved slightly north, just next to the Arts et Métiers métro station, into what used to be the offices of an insurance company. They are also open seven days a week from 8.30am to... 10pm! (although on Sundays they open at 10am instead). I haven't been in, but as it's brand new it's quite smart. However, there are even smarter options, albeit at a price. 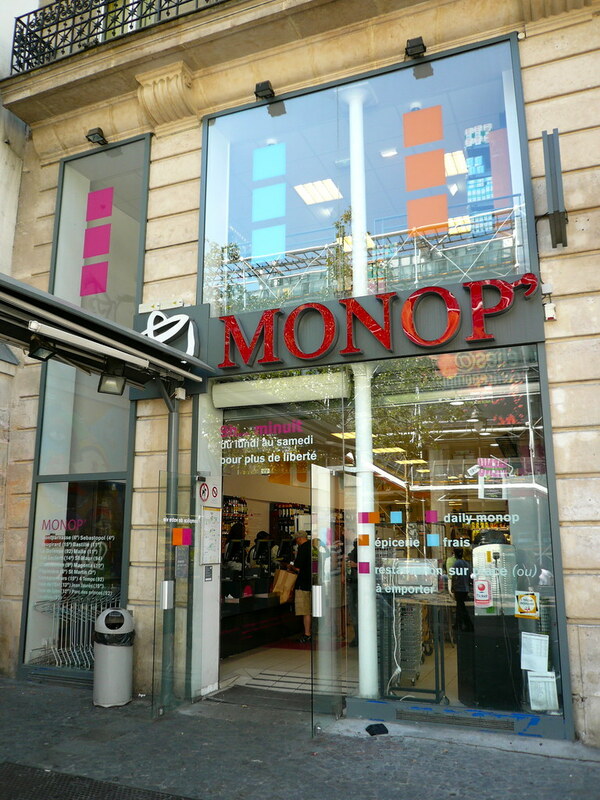 Opposite the Pompidou Centre is a Monop' (a scaled-down version of the slightly-upmarket Monoprix supermarkets). The store is fairly large and on two floors, and sells very good quality products. Obviously, being placed where it is, the prices are kinda high, but they do have some interesting produce (for taking back home for example) and a large snacks section on the ground floor, which is good if you want to avoid the cost of a restaurant at lunchtime. It's closed Sundays but open every other day from 9am until midnight! Very handy if you have a craving for something late in the evening. The place used to be a postcard and bookstore, and before that - way, way back - it was even a nightclub where I mixed a few times! 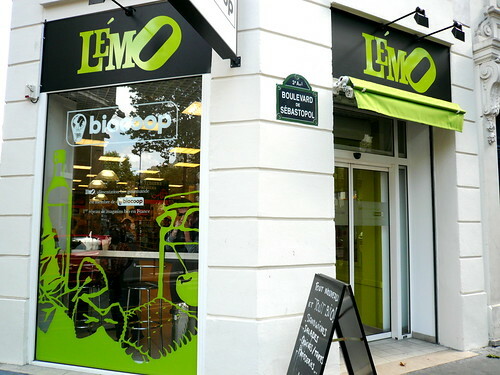 By the way, Monop' sells a fair bit of organic produce, but our preferred supermarket for that (and our favourite of all the supermarkets probably), is the BioCoop. 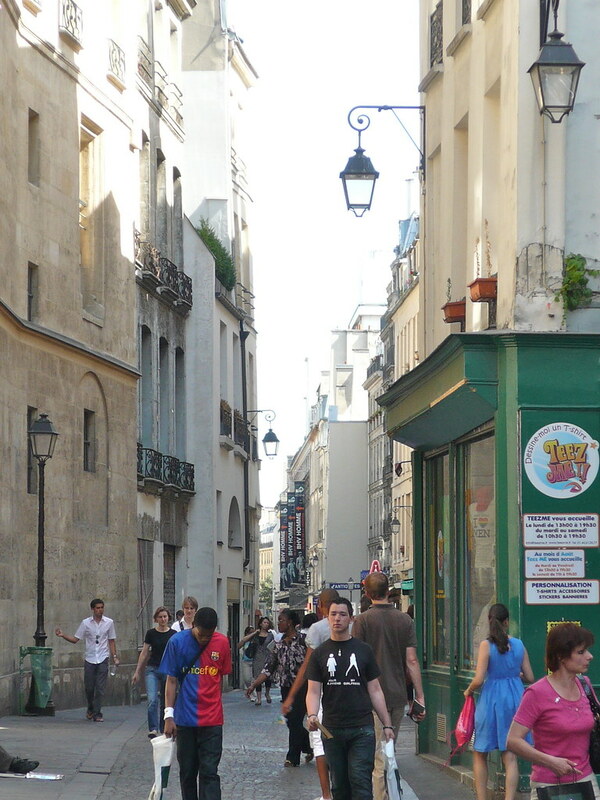 It's very close to the apartment, and we wrote a whole article about it here a while ago. They are open every day except Sundays from 10am - 8pm and the place used to be just a standard, boring old mini-market, but for some reason that never caught on. I love going to BioCoop for their tarts, wine and wicked Sour Cream and Chilli organic crisps from Sweden (?) that rip the roof of your mouth off! 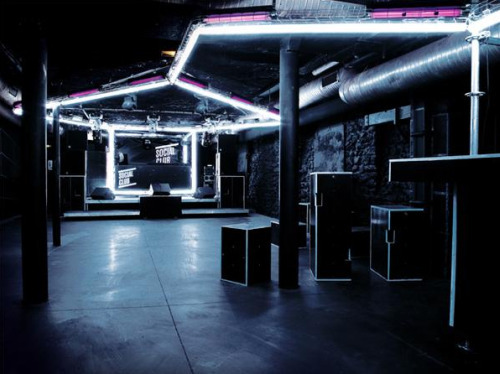 This is probably not as big a deal as I think it is, but I'm rather excited to have found out - by chance - that Super Punch, an excellent blog that I follow (very cool, much like Boing Boing) has just linked to our recent article about the Paris Social Club. Super! Anyway, you'll find the link in an article here. Their site is full of great stuff, so have a good look round while you're there. Thank you Super Punch! 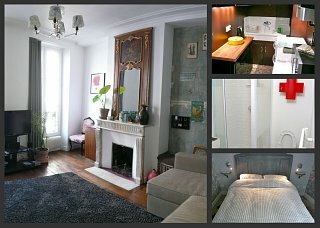 The Great Apartment in Paris is sending love right back atcha. 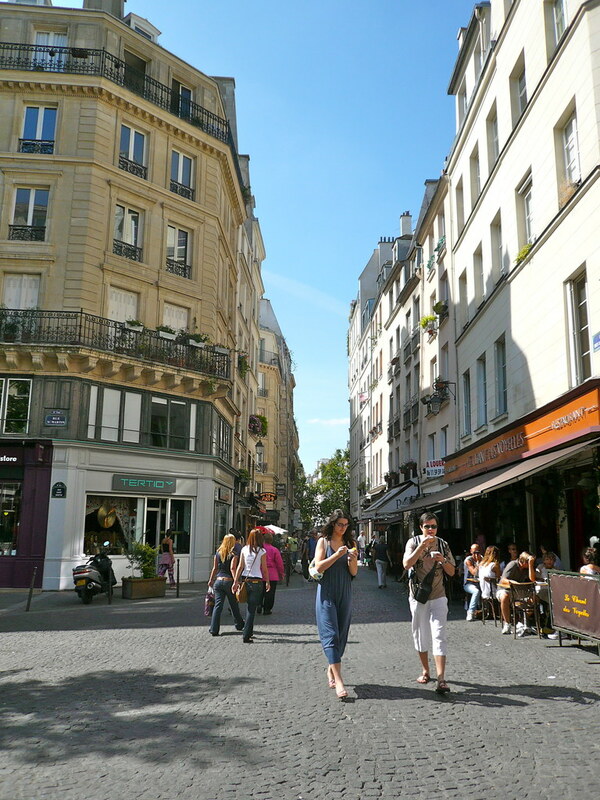 Walking round Paris is always a joy, but there's something extra special about being sat at the terrace of a café and watching the Parisian world go by. There's certainly plenty to see, and our favourite place to people watch is here at Le Paradis: Paradise. It may be slightly more expensive than some places, and the terrace is rather tightly packed, but money couldn't buy the entertainment you'll get here. 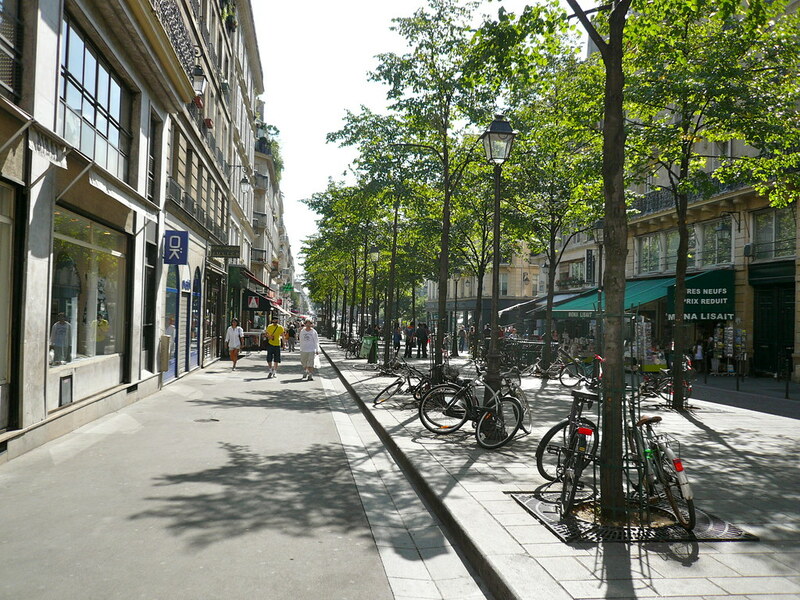 Strategically placed at the crossroads of a pedestrian area, with its terrace facing due south, it's a piece of paradise that will wear you neck muscles out as you look left, then right, then left, then right, laughing into your beer/wine/champagne à la violette (if you like that sort of thing). And from your right, a hilarious collection of gays making the same journey but in the other direction, from public transport hub Châtelet to the Marais ghetto. 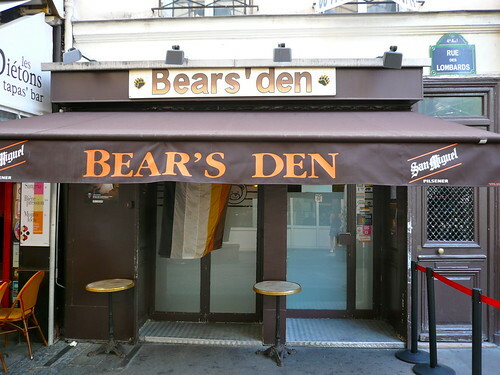 Indeed, Le Paradis is just where rue des Lombards becomes rue de la Verrerie (at the corner of rue Saint Martin) and has a number of gay-friendly establishments very nearby (two bars, a couple of restaurants and even a gay record shop), the most notable probably being The Bear's Den, with its tiny terrace (standing room only) packed with the hairiest, big-bellied benders in the whole of France! Another reason for sitting in Le Paradis to watch it all go by. 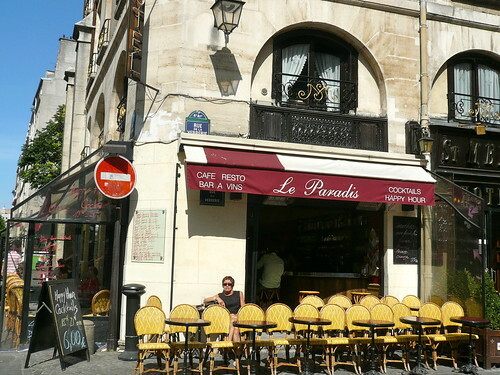 We recommend going to Le Paradis for a pre- or after-dinner drink. If you have a sense of humour and a sense of observation, you won't regret it. One of the great things about being in the centre of town is being able to go out late and get back simply, quickly and cheaply (i.e. free). On foot. 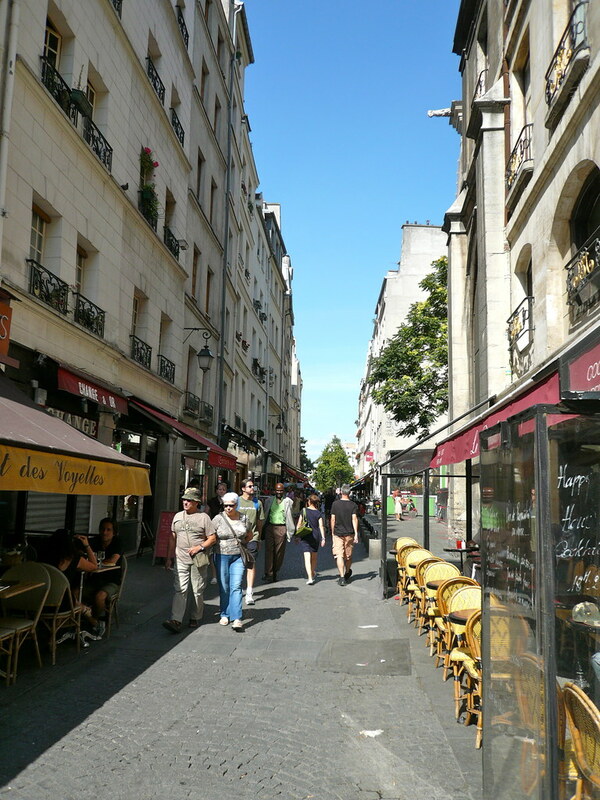 Paris is a pretty secure place and walking through it at night (with obvious minimum precautions) is generally worry-free, which leaves your free to go out and have FUN! And although the staff can sometimes be a bit bristly, it has to be said, they have a wicked, stylish line-up. By the way, if you haven't heard of any of the above then you should start clicking on their names and WISE UP! 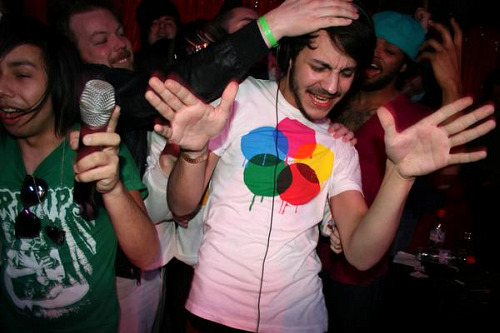 If you want to find out what's on at the Social Club, check out their Myspace page. It used to slow my browser down to s-n-a-i-l speed with its multiple embedded slideshows of leery youth, but they seem to have lightened it up, and since the release of Firefox 3.5 and Safari 4 navigation has become more or less bearable (even if the music player doesn't always show up properly and I can't turn the damn thing off!). 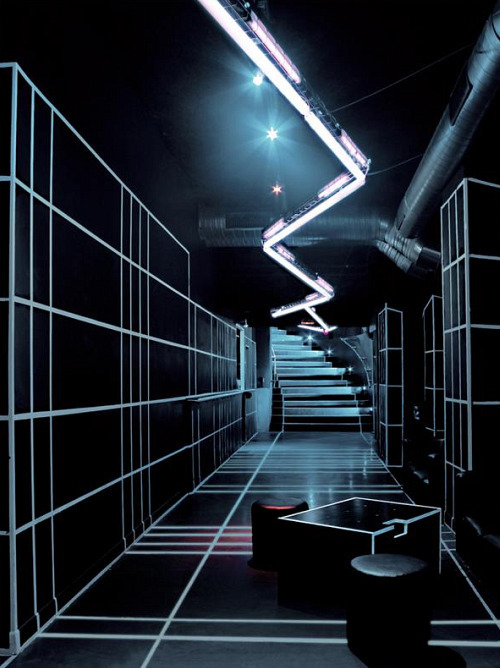 The Paris Social Club is at 142 rue Montmartre and here's how to get there from the Great Apartment Paris. On foot, I reckon it'll take you 15 minutes tops.